Well the makers of Cygwin describe it as the Linux feeling on Windows. I know many of you are thinking why do you need to run Cygwin when you can have the entire Linux experience just by installing on of the Linux distros like the infamous Ubuntu. Well there are several reasons why one would do this, my personal favorite is that probably you double as a Designer and Developer at the same time and Linux does not have that great interface or programs for the designers, for instance its difficult to install Photoshop or CorelDraw on Ubuntu and these are some of the most prolific design packages available out there. Photoshop is actually so infamous that it has become an English verb. You hear people say I photoshoped this or that, when asked about a great photo posted on ClikPals. The power of a command line program like cygwin can not be underestimated. 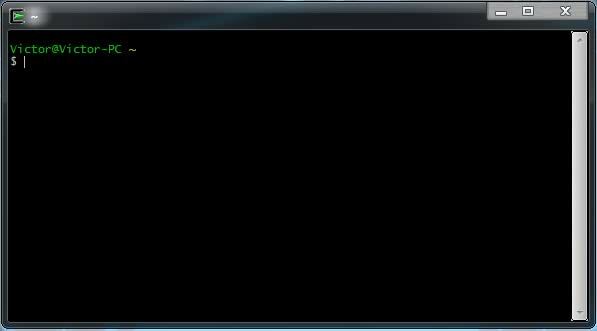 Command line programs enable you to perform tasks faster than you would when you are using a GUI. GUI is short for Graphical User Interface, for those who are still novices in the field of System Administration. A research from Stanford University states that when you perform 10 tasks on a GUI in a period of time, you can perform 50 tasks within the same period of time when using a command line interface. Now there are different technologies behind a command line interface. On Windows we have the legacy DOS Disk Operating System commands that allow you to run small programs that are called batches. On newer installments of Windows we have Power Shell and now that you are reading this you are planning to have a Linux command line interface running on Windows, cool ehh. Lets get started, you will need to download the right Cygwin version for your specific OS and computer architecture. Cygwin is available in both 32 bit and 64 bit architecture, so please confirm your computer architecture before we proceed. If you don’t know what I am talking about then you can stop here and go update your Facebook status or something. Or maybe tweet, because this article is beyond your scope of knowledge. Better still you can read more about computer architectures here. Once, you have downloaded and run the right Cygwin for your computer you will be taken through an installation wizard, kind of like one of those you get when installing any other ordinary program on Windows. It is a wizard it will guide you through the process, duh. Install editors (vim, nano, emacs) depending on your flavour. I like nano better. You will need filesytem commands (mv, mkdir, ls, cd, rm, ln, etc.). You will probably want to move things around, create directories, get their file sizes and so on and so forth. Lastly, but not least you can type in the search box to find a package that you need for your specific operations, for instance if you want to work on audio files then you need to install the audio packages. Just type audio in the search box and you will see a list of all the audio packages available. You can then click on the circular thingy with the arrows to change the state from Default to Install as shown below. Remember Google is your friend and whenever you get stuck you can do a quick Google to find your way around or you can send me a comment below and I can help you out.